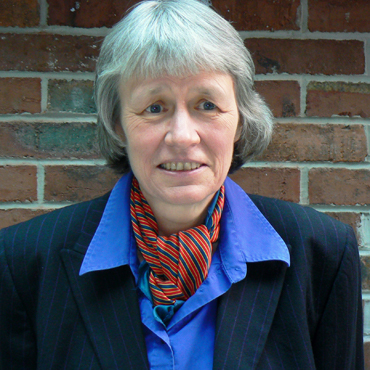 Helga Drummond is Visiting Gresham Professor of Business and Professor of Decision Sciences at the University of Liverpool Management School, a position that she has held since 1997. Professor Drummond is an Independent Member of the Defence Scientific Advisory Committee (DSAC), which advises the Ministry of Defence on science and technology. Professor Drummond is also Lay Member the Licence Committee of the Human Fertilisation and Embryology Authority (HFEA), the General Optical Council Fitness to Practice Committee and the Royal College of Veterinary Surgeons Discipline Committee. Past external appointments include Non-Executive Director of two executive agencies of the Ministry of Defence, the Royal Institution of Chartered Surveyors and Lay Member of the Joint Council of the Inns of Court. As well as her wide-ranging articles for both academic and lay publications, her numerous books include The Economist Guide to Decision-Making (2012), Escalation in Decision-Making: Behavioural Economics in Business (2011) and How to be a Successful Entrepreneur (2009). Most of Professor Drummond’s research has centred upon decision-making amidst risk and uncertainty. Her studies have ranged from high profile business failures, such as the collapse of Barings’ Bank, to that of a dilapidated hairdressers’ shop. She has delivered invited lectures on these topics at a wide range leading institutions, including LSE, University of Oxford, University of Cambridge, the Defence Academy and the British Legal Association. “We make our decisions. Our decisions make us and our organisations. But it is seldom easy. Ambiguity always lurks. Things are rarely quite what they seem to be. Bright promises fail. Bold claims return to haunt. Best laid plans frequently go awry. This programme of lectures is about how to get important decisions more right than wrong and even profit from uncertainty”. All of Professor Drummond&apos;s past lectures may be accessed here.